Contact the Author, Tanya Milligan, by visiting any of these outdoor forums. The forum to go to discuss anything outdoors. You can talk with other outdoor lovers about your favorite activities. Mountain biking, hiking, backpacking, canyoneering, climbing, caving, geocaching, motorcycling, ATV's, fishing, hunting, shooting, canoeing, tubing, boating, kayaking and winter sports. Hiking in the Zion National Park area and Zion National Park news including nearby areas. Feel free to discuss hiking, climbing, backpacking, canyoneering, camping, nature photography, Southern Utah trips, Zion National Park, Bryce Canyon National park, Grand Staircase-Escalante National Monument, Cedar Breaks National Monument, Dixie National Forest and Paria Canyon's Coyote Buttes area including "The Wave". Join us to discuss hiking, backpacking, rim to rim trips, climbing, river running, news, geology, flora, fauna, history, ecology, nature photography, archeology, news. Our focus is the Grand Canyon, the Kaibab Forest National Forest. Join the Bolgey Outdoor Forum and meet others that love to do what you love to do. Go on trips together or just chat online and share trip reports and photos. The outdoor forum covers hiking, backpacking, canyoneering, biking, fishing, hunting, four-wheeling, water sports and photography. The focus is Utah. Join the Zion National Park and Grand Canyon Hiking groups and ask questions about your up coming trip, hidden treasures in the parks. Talk about canyoneering, climbing, hiking, news, inside information, trails off the beaten path routes and much more. These groups are the place to talk about Canyon Country: Zion National Park, Bryce Canyon, North Rim of the Grand Canyon and the Grand Staircase-Escalante. 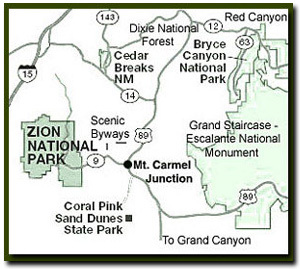 The group also has up to date Zion National Park news and Grand Canyon news. Join us and discuss hiking, climbing, backpacking, outdoors, canyons, camping, nature photography, trips, Utah, Arizona, Zion National Park, Grand Canyon, Bryce Canyon, Staircase and other Southwest hiking. Stop by the Desert Rat Outdoor Store in St. George, Utah and talk to Bo. Bo knows the St. George and Zion National Park hiking areas as well as what you need to have to make your visit enjoyable.